Spacious and well furnished rooms with large windows and a cozy seating area. Green City provides a pleasant and appealing stay for its guests. 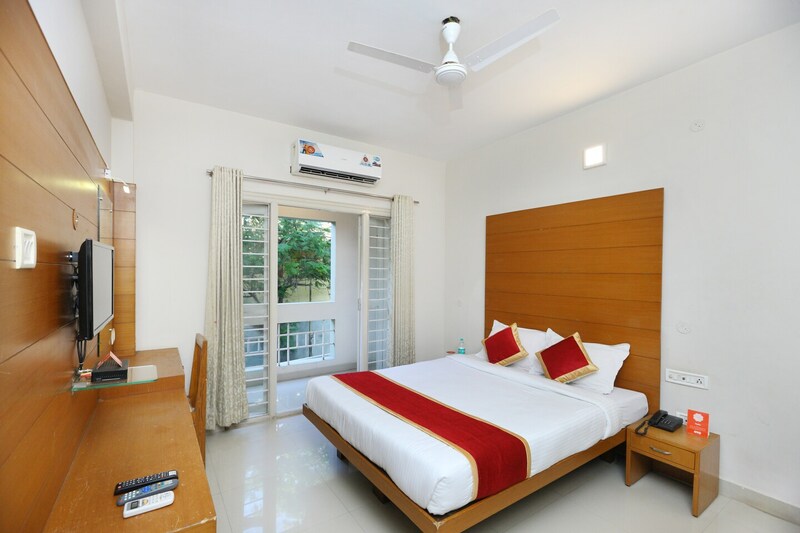 The rooms have a calm and soothing ambience. The windows are large and allow in ample sunlight, it also provides an amazing view of the trees and the thriving city. The room is well-furnished with wooden furniture. The space has minimal but modest dcor. The hotel has a comfortable seating area for the guests. It offers laundry services and parking facilities. CCTV cameras are installed to ensure maximum safety of the residents. There is power backup so that the travellers do not face any incovenience during power cuts.